This summer, Norwegian and Russian scientists will plumb the depths of one of the Cold War’s most enduring legends – the Komsomolets nuclear submarine, which sank 30 years ago this week off Norway’s northern coast, killing 41. But plutonium isn’t the only concern. The submarine’s reactor, loaded with nuclear fuel, is a source of other radioactive isotopes like cesium 137 and strontium 90. And while Norway has not been able to duplicate Russian results exactly, the scientists hope that their new deepsea rover, the Ægir 6000, will dislodge more answers about possible contamination hazards when it dives to the wreck on the July joint mission. 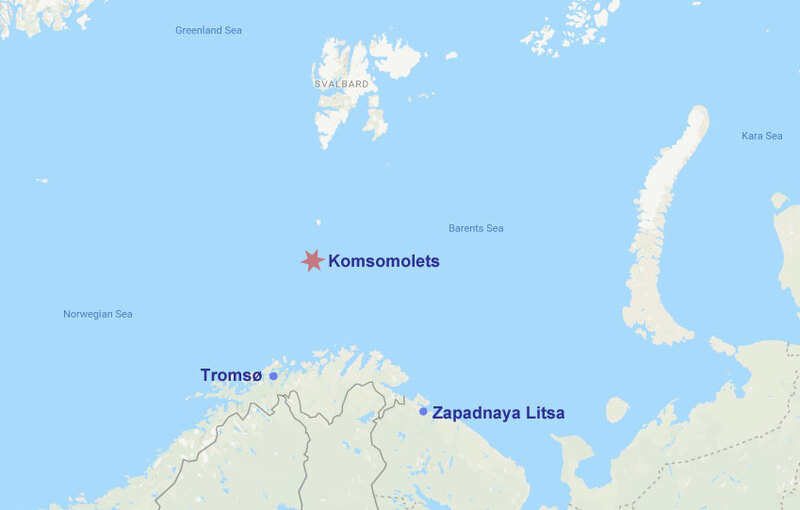 The Komsomolets put to sea in 1984, at a time when the Cold War had grown especially frosty. Advanced automated systems allowed for the sub to be operated by a relatively small crew of 69. But what the sub lacked in sailors it made up for in firepower and stealth. Designed to go deeper than any other submarine in the world, the Komsomolets’ huge titanium hull could largely evade American detection. Nervously, the Americans responded with new submarines of their own, but none could match the clandestine depths to which the Komsomolets could dive. Yet while the Komsomolets began as a clear a symbol of the Soviet Union’s military might, it came to be one of the first signs of its undoing. At the time of the sinking, Gorbachev’s Glasnost reforms had taken firm root – and a catastrophe the Navy might earlier have hushed up was front-page fare in Russian newspapers like Komsmolskaya Pravda and Sovietskaya Rossiya. The minute-by-minute details of the wreck, as related in a public account by the CIA, were harrowing. 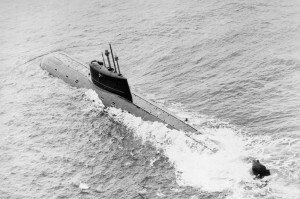 The disaster started at 11:03 on that April 7, while the Komsomolets was sailing at a depth of 386 meters, when, suddenly, high-pressure air hoses connected to the submarine’s ballast tank burst their seal. The hoses, driven by a frenzy of air spray, damaged an oil containment and sparked a flash fire in the submarine’s oxygen rich air. The expanding blaze tripped the reactor’s emergency shutdown and caused a loss of power in the submarine’s hydraulic system – leaving the sub immobile and powerless. In order to surface from the depths, the captain was forced to blow the main ballast tanks. Struggling upward, the Komsomolets managed to send its first encoded SOS to headquarters by 11:14. But surfacing did not save the vessel. Below decks, the fire spread through cableways, engulfing all the aft compartments and heating them to more than 1000 Celsius. The rubber coating around the hull designed to muffle detection began to melt off in strips. The captain ordered all sailors not engaged in damage control topside. Those fighting to save the ship donned masks from the vessel’s emergency breathing system. But the loss of pressurized air from the aft compartment caused an influx of carbon monoxide into the masks, and many of the men dizzied and dropped. Those that remained were then forced to fight the fire without masks in a cloud of smoke. Soon, the vessel began to sink again. While much of the crew had evacuated to the deck, six, including the captain, remained below. By 16:30, they were forced to abandon their struggle to keep the sub aloft. The sub was taking on water and they attempted to flee the via the sub’s unique escape pod. But the pod initially failed to bear them away. A flaw in the system kept it riveted to the submarine’s conning tower. Finally, an explosion rocked the vessel and shook the pod free, sending it hurtling upward to the surface. Once there, the hatch blew off. But only one sailor managed to escape. The capsule flooded in rough seas, and the other five crewmen aboard, including the captain, perished. Despite the hours that passed after the initial distress call, the Soviet Navy limped in its rescue response, first dropping a number of rafts from the air. But those rafts turned out to be too few. One raft from the sub itself capsized. Another raft sank with the sub. A number of sailors clung to a larger raft, but soon the cold waters began to take their toll. It finally took a fishing vessel to rescue the crewmen who remained. At 18:00, the Aleksandr Khloystsov arrived at the site of the accident and plucked 30 men out of the sea. But by that time, 39 had already perished of hypothermia in the cold Norwegian Sea. Three more later died of smoke inhalation. The matter of the Komsomolets shook faith in an already ailing navy. 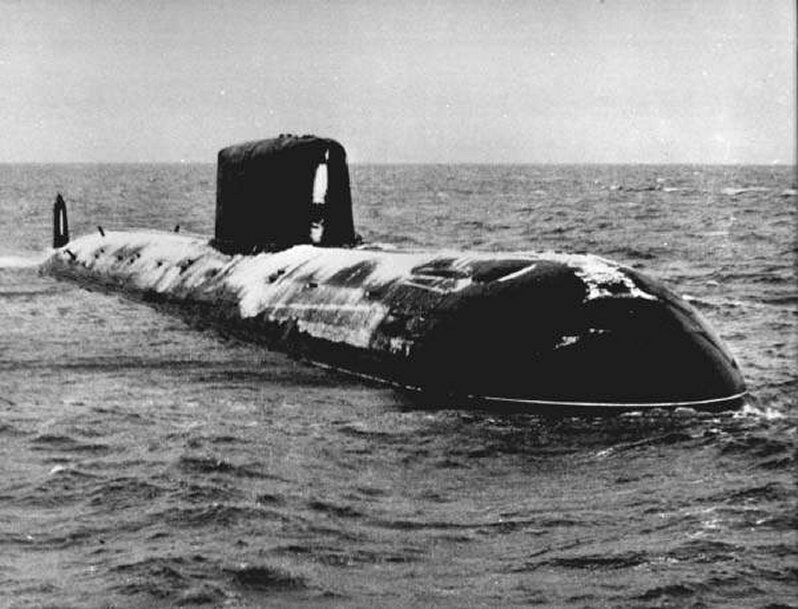 Within two years of the accident, the Soviet Union would cease to be – leaving in its wake hundreds of derelict decommissioned nuclear submarines, and a host of other radioactive hazards dumped by the military. By 1994, the government in Moscow would reveal the scale of its irradiated legacy in the Arctic. The Soviet navy had scuttled hundreds of barrels of nuclear waste in the Kara Sea, along with old nuclear reactors, and, in one case, an entire nuclear submarine. But over the course of the past decades, Russia has made efforts to open up about this past – and the coming mission with Norway to the Komsomolets reflects this spirit. Meanwhile, Russia has undertaken numerous deep dives to the wreckage and attempted to seal off the Komsomolets’ reactor to prevent further radioactive leakage. Time, too, has taken its toll. Natural sediment has drifted over the wreckage, slowly burying the broken hull and hopefully closing off any fissures that could leak contamination.